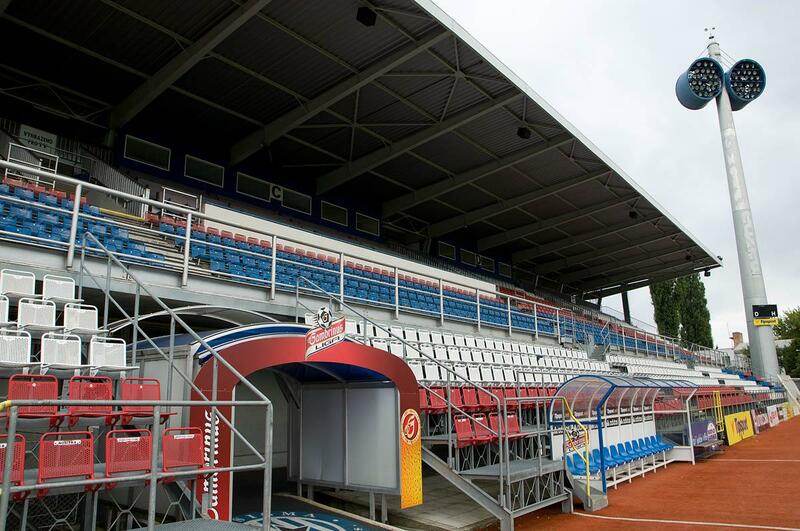 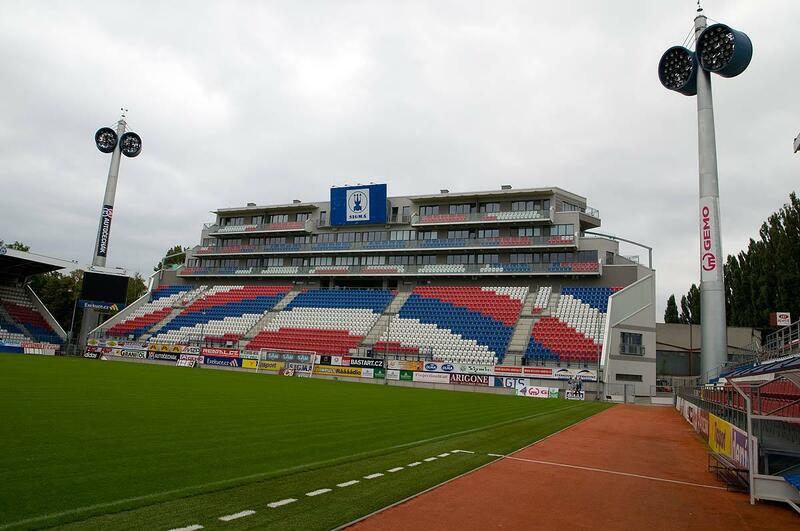 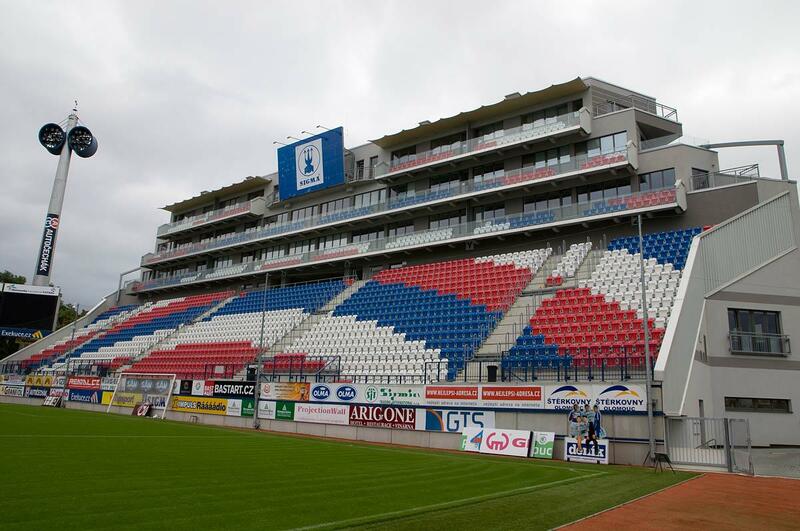 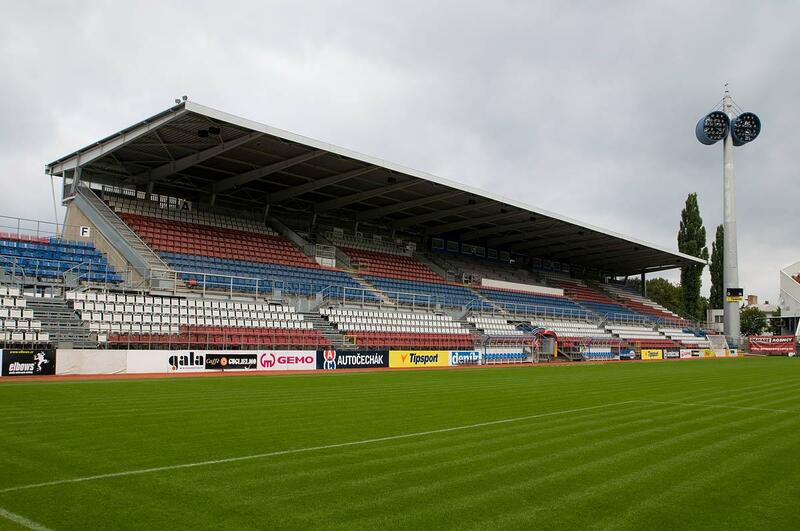 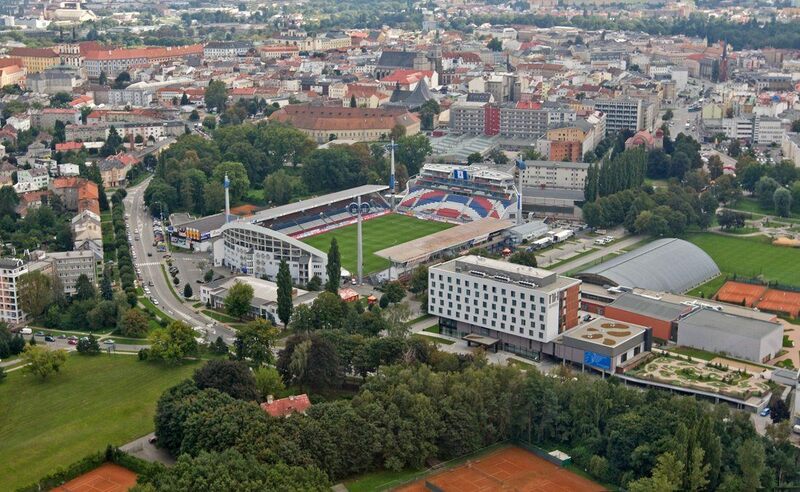 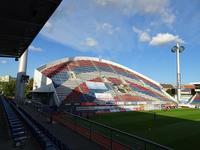 Construction of a brand new stadium in Olomouc began by the initiative of local entrepreneur Josef Ander. 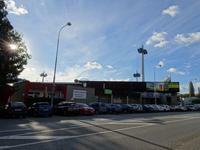 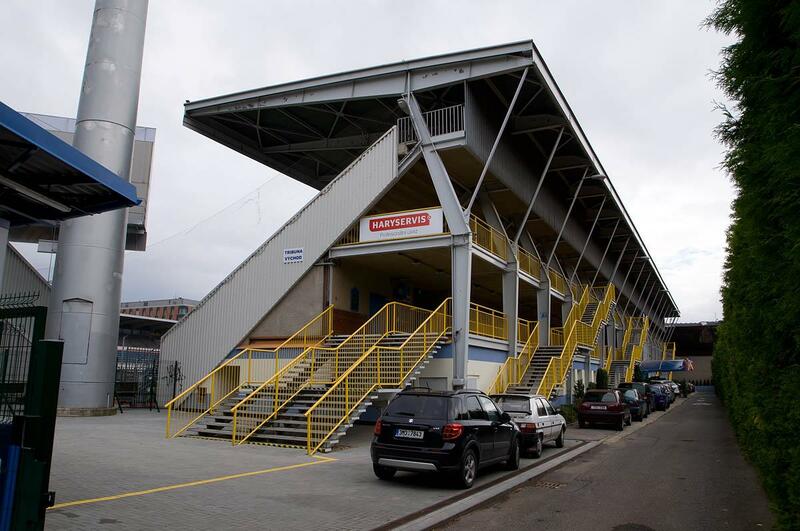 Owner of a chain of stores was also a great sports enthusiast and decided to support local clubs by building them a new ground. 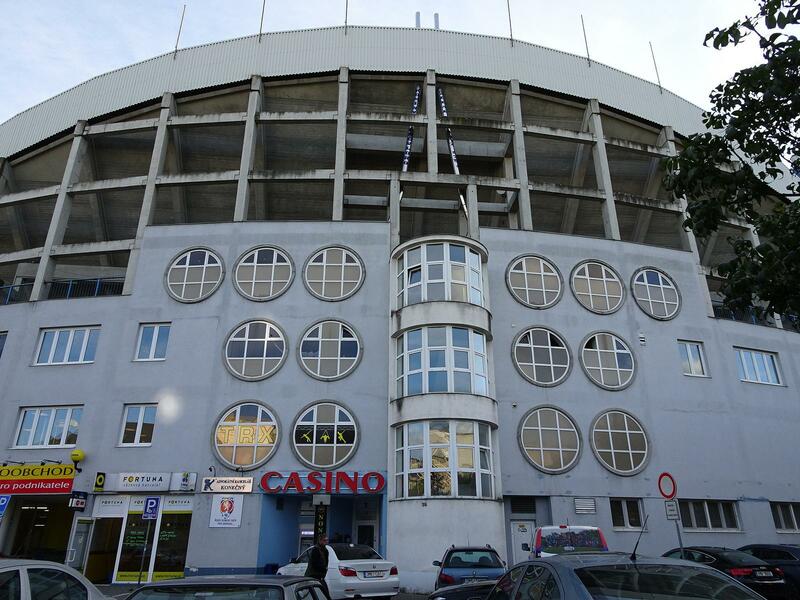 Construction was launched in 1938 and ended in 1940, giving the stadium a modern concrete grandstand with secondary sections together holding 20,000 people. 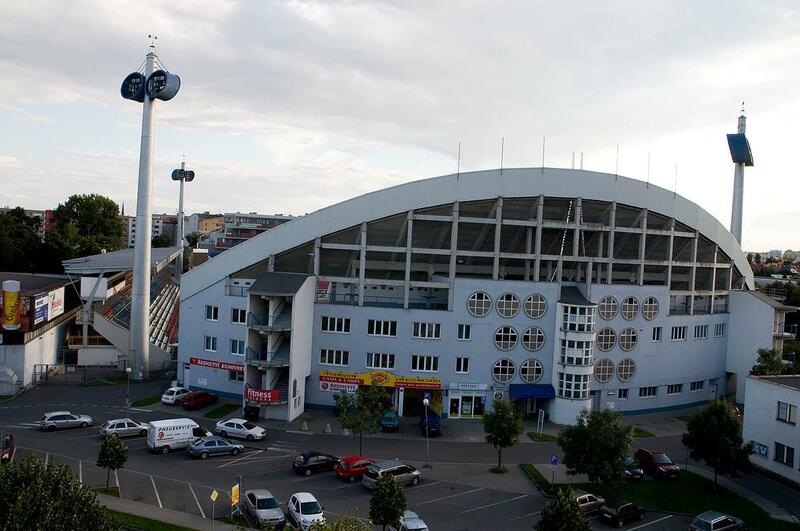 Unfortunately the WWII left nothing of that landmark stand as Wehrmacht destroyed it late into the war. 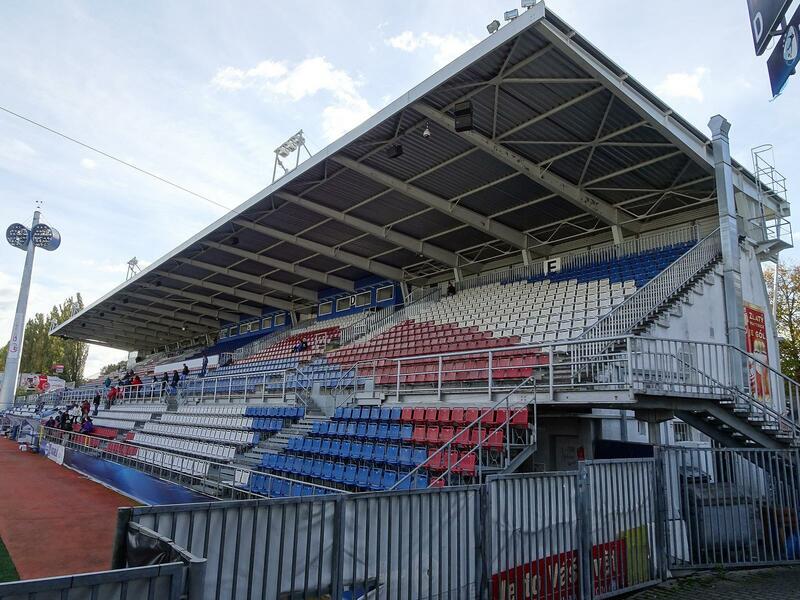 Only a temporary wooden replacement was then built and kept for over 30 years until construction of a new concrete grandstand began in 1977. 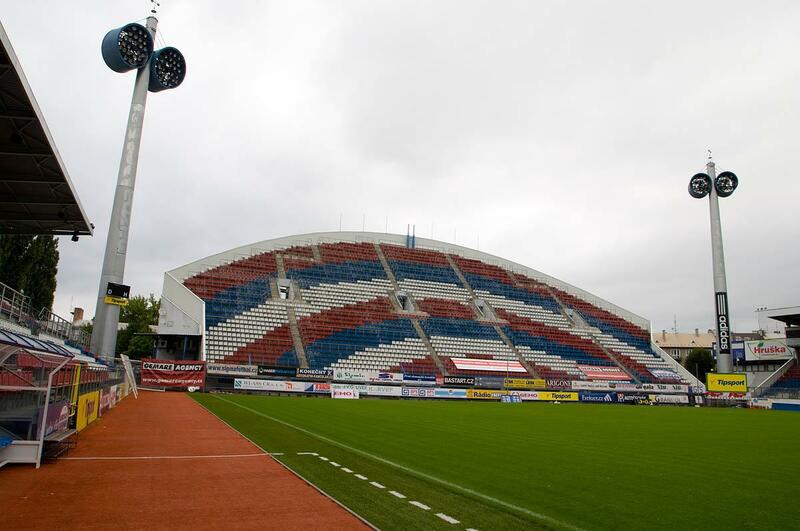 In 1985 works on second such stand began on the opposite side of the field. 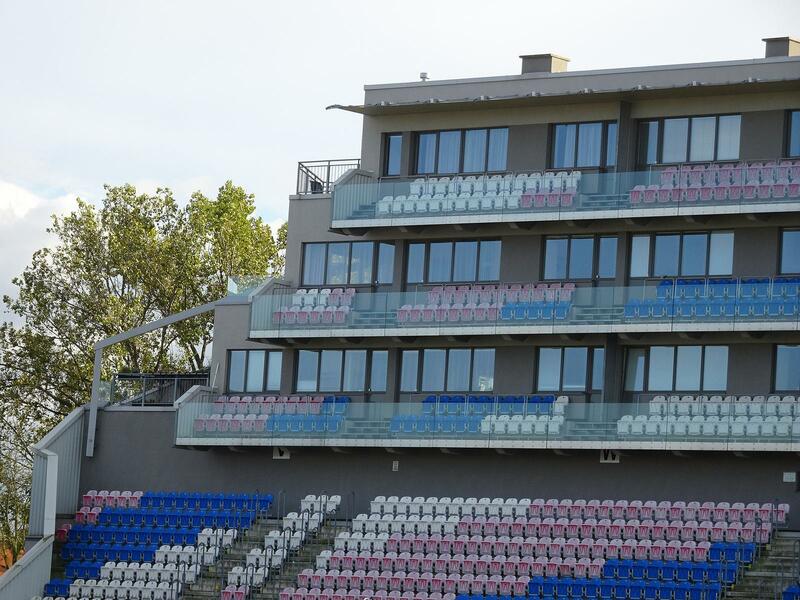 End zones were filled more recently. 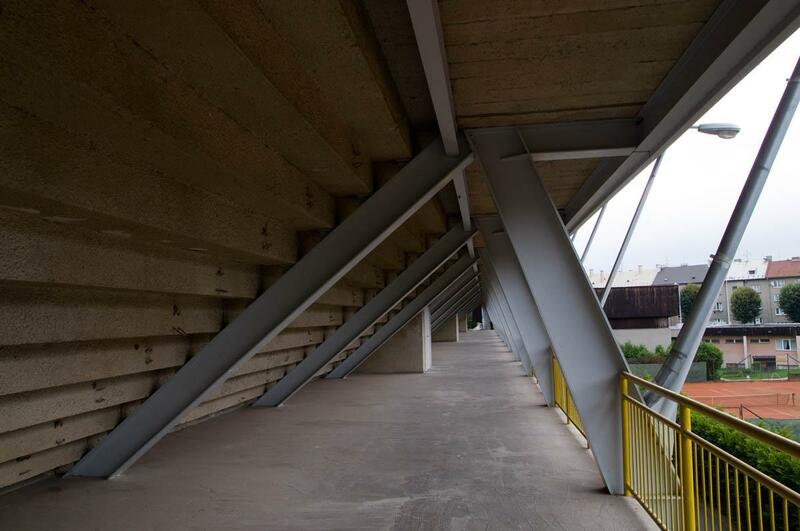 In 1998 construction of a unique rounded north end began. 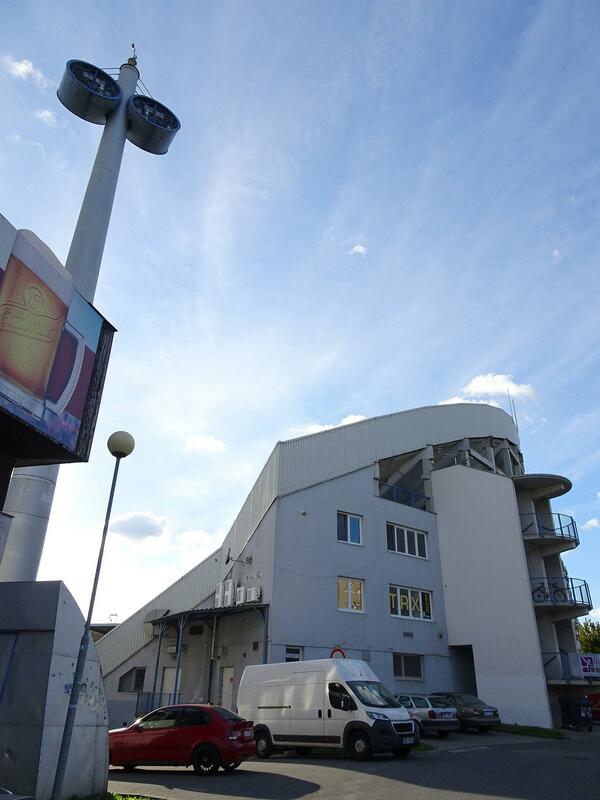 Similar addition in the south was completed in 2009, but with skyboxes, offices and 30 apartments inside, resulting in a less uniform shape. 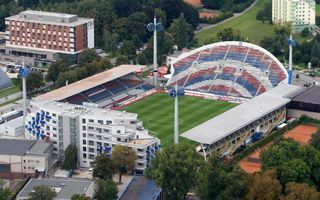 As the stadium was funded by the Ander family, it was called Andrův Stadion from its first years. 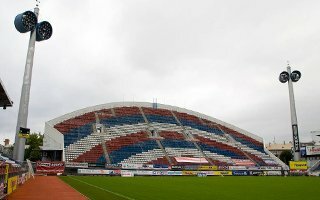 However, communist authorities of the Czechoslovakia changed it to Stadion Miru (Stadium of Peace), which wasn’t reverted until 1993. 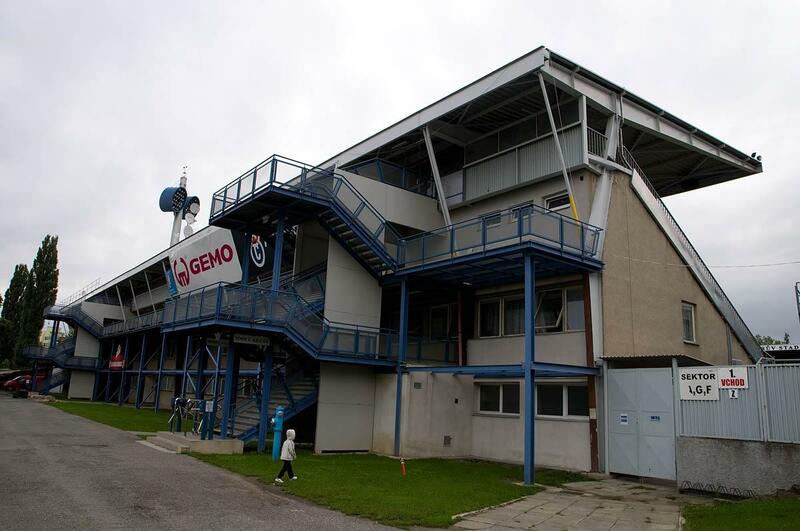 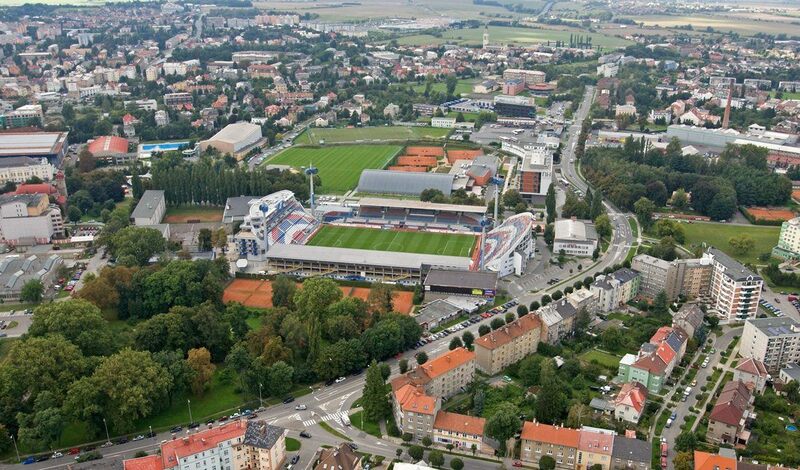 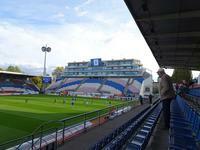 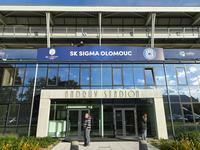 Although initially used by two clubs, it became solely owned by Sigma Olomouc only to be sold to the municipality by the end of 2017. 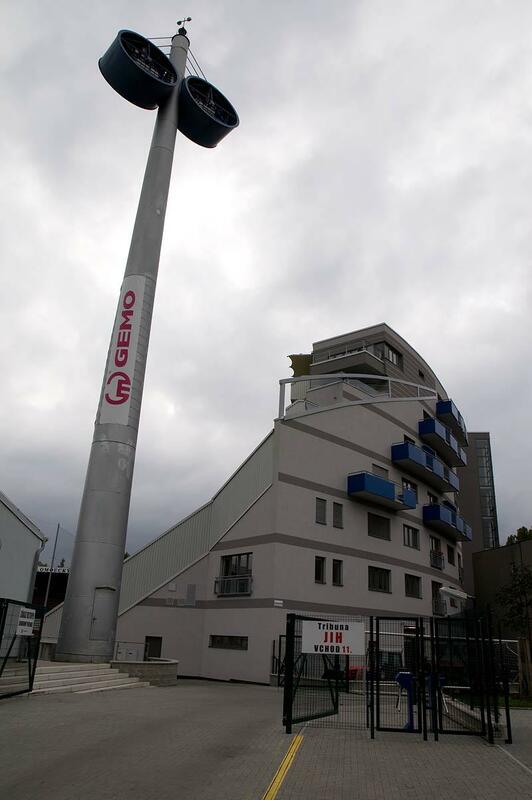 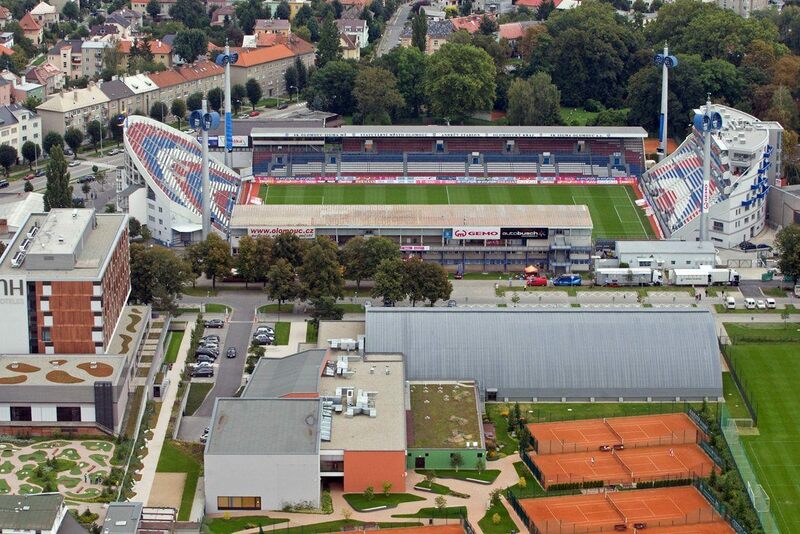 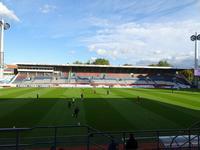 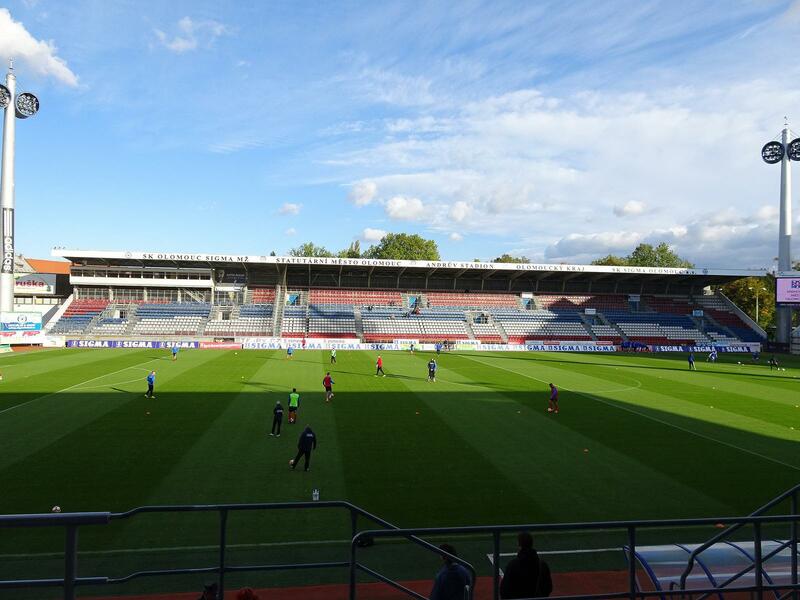 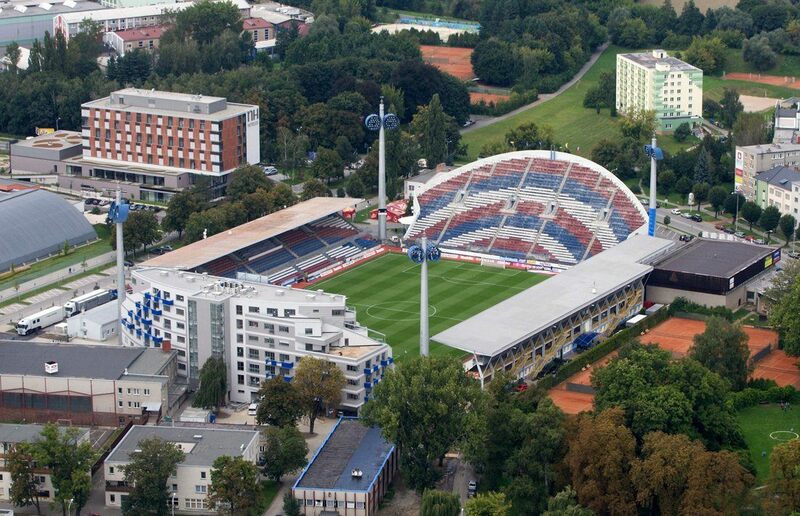 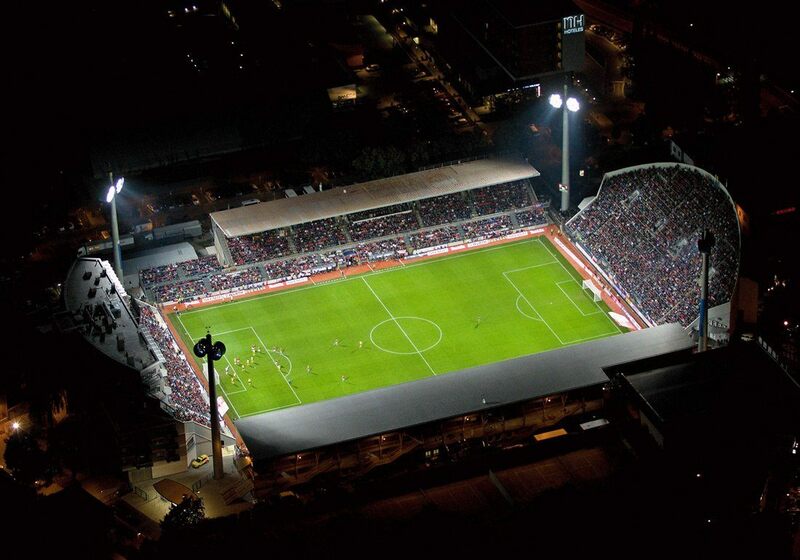 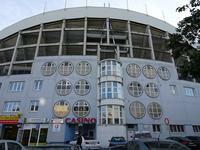 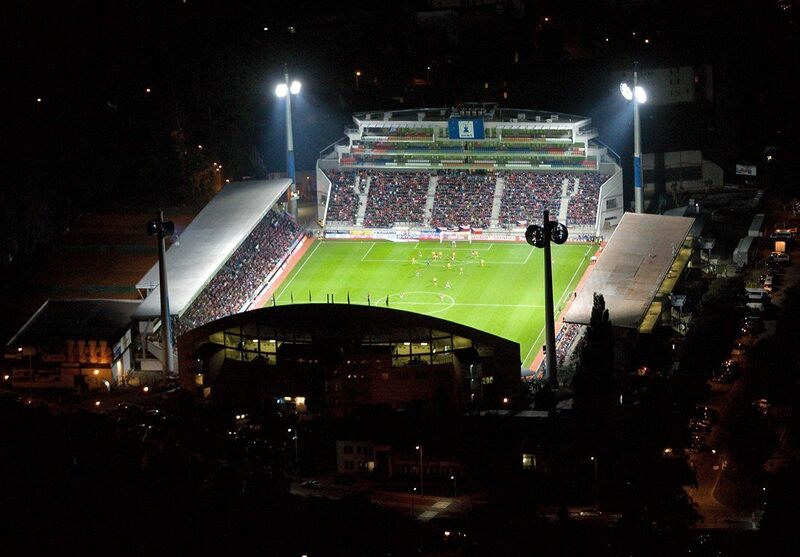 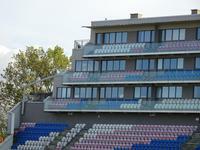 Modernised gradually for years, the stadium is considered among Czech Republic’s best. It was the very first to have under-soil heating.